It’s April Fools’ Day: time for what the French call poissons d’avril! 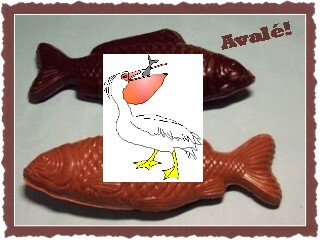 "A bit hard to swallow"
So let’s have some geese. I came across the curious offering below when I was trying to figure out how to catalogue an item on the confluence of the Murray and the Darling and concluding you can’t, because neither the Library of Congress nor the National Library of Australia have managed to establish authorised subject terms for the concept. However. 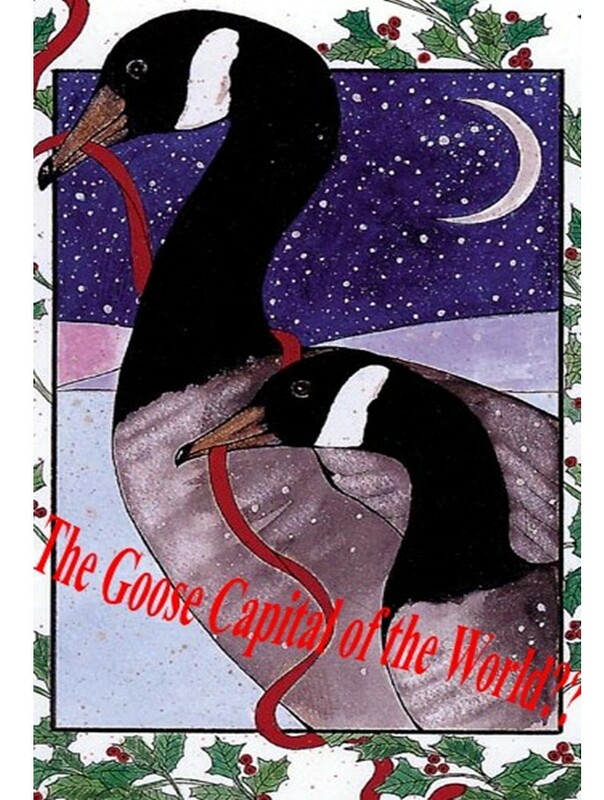 Cairo, Illinois: “Goose Capital of the World,” at the confluence of the Mississippi and Ohio Rivers. [Roswell, N.M.] All American Publishing Co. [1973?]. col. map; 44 x 29 cm. 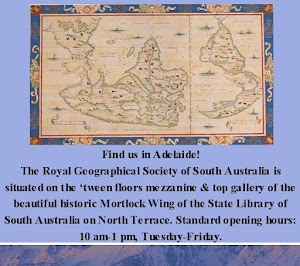 Okay, have we got anything on “geese” or “goose” at the Royal Geographical Society of South Australia? Ooh, yeah! Queensland. Sydney : Angus & Robertson, 1961. Trevor-Battye, Aubyn, 1855-1922. Ice-bound on Kolguev : a chapter in the exploration of Arctic Europe, to which is added a record of the natural history of the island. Westminster : Constable, 1895. He describes the local people, the Nenets (whom he refers to as Samoyed) who came to the island in summer to graze their reindeer and trap geese to trade. Trevor-Battye’s is an interesting story: he travelled widely and finally died in Las Palmas in the Canary Islands, a far cry from the chill of the arctic islands! Well, it is April 1st, so I’ve got to say it: the author’s name makes it better! 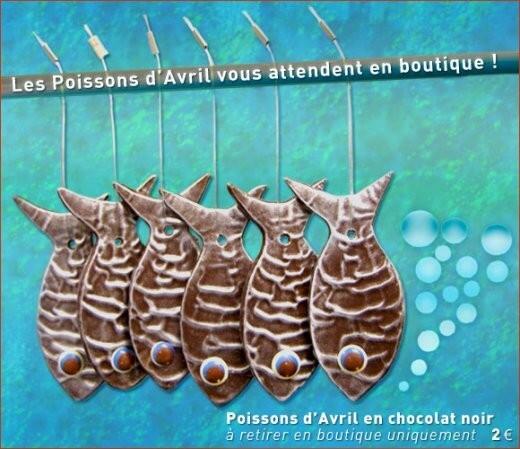 So, getting carried away, let’s look for some actual poissons! Tennent, James Emerson, Sir, 1804-1869. Sketches of the natural history of Ceylon : with narratives and anecdotes illustrative of the habits and instincts of the mammalia, birds, reptiles, fishes, insects, &c. : including a monograph of the elephant and a description of the mode of capturing and training it. London : Longman, Green, Longman, and Roberts, 1861. Williamson, Thomas, fl. 1807-1810; Howitt, Samuel, 1765?-1822. Oriental field sports : being a complete, detailed, and accurate description of the wild sports of the East; and exhibiting, in a novel and interesting manner, the natural history of the elephant ... as likewise the different species of feathered game, fishes, and serpents. The whole interspersed with a variety of original, authentic and curious anecdotes taken from the manuscript and designs of Captain Thomas Williamson ; the drawings by Samuel Howitt, made uniform in size, and engraved by the first artists. 2nd ed. London : H.R. Young, 1819. Stead, David G. (David George), b. 1877. The beaked salmon Gonorhynchus gonorhynchus (Linnaeus) : its distribution in the waters of New South Wales. Sydney : William Applegate Gullick, Government Printer, 1908. 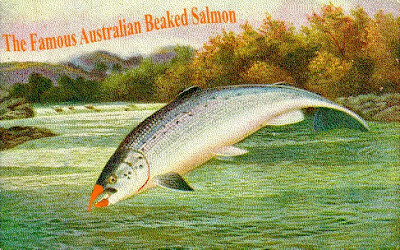 "The Famous Australian Beaked Salmon"
Stead, David G. (David George), b. 1877. 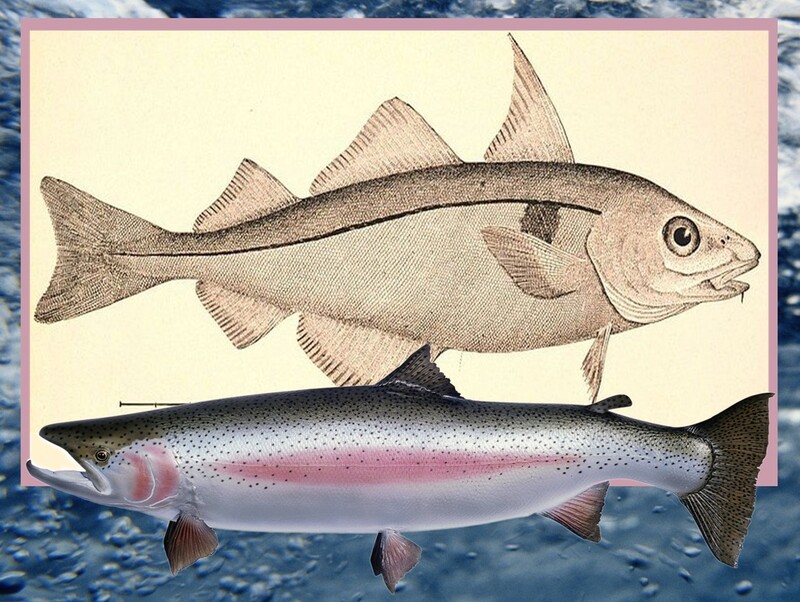 The edible fishes of New South Wales : their present importance and their potentialities. Sydney : Government of the State of New South Wales, 1908. So let’s get out there and eat ’em, folks! Dannevig, H. C. (Harald Christian), 1871-1914. Development of marine fisheries and fish culture : lectures delivered at the Queen's Hall, Pitt Street, Sydney ... 12th September and 11th October, 1902. Sydney : Government Printer, 1903. 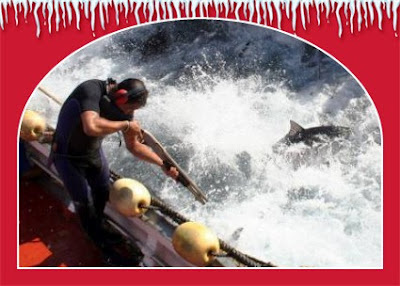 "Big Fish eat Little Fish"
Adrian’s hard at it off the coast of Africa, jolly good show, sir! And congratters on that romantic title! Doyle, Adrian Conan. Heaven has claws. London : Murray, 1952. And there’s a Welshman in Scandinavia, not only eating ’em but carrying out serious study as well. Did he dissect them and then eat them, or...? Lloyd, L. (Llewelyn), 1792?-1876. 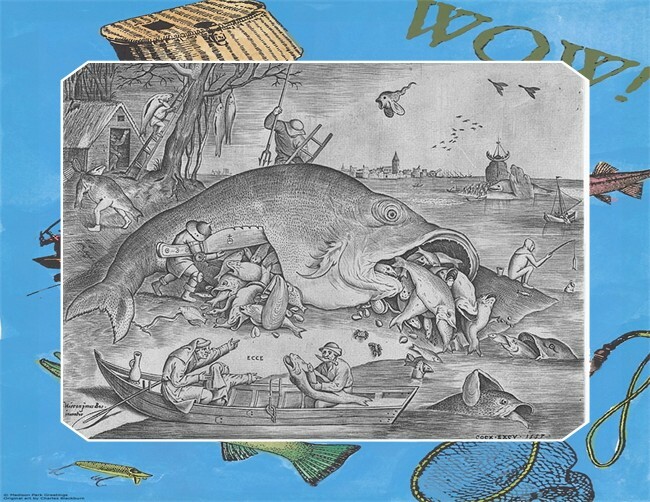 Scandinavian adventures : during a residence of upwards of twenty years; representing sporting incidents, and subjects of natural history, and devices for entrapping wild animals. 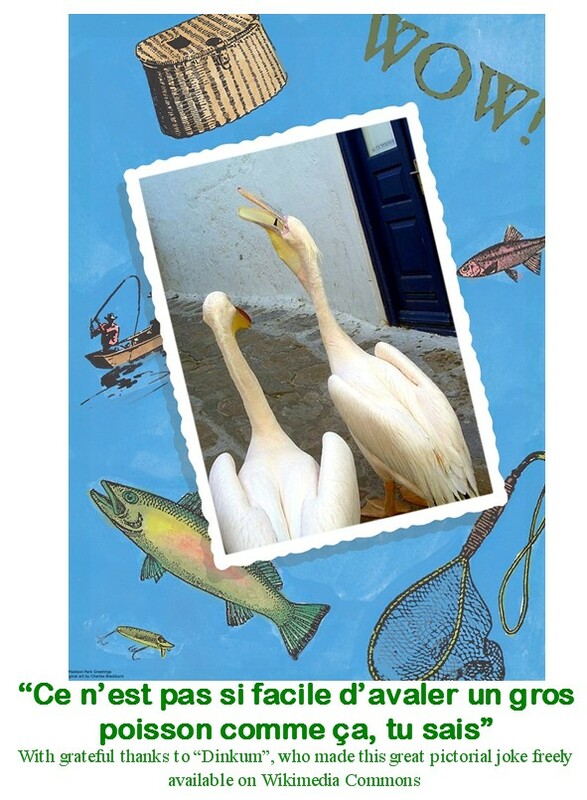 With some account of the northern fauna. London : R. Bentley, 1854. Over California-ay-aye way, Horace is at it, too. Huntin’ and fishin’, yep! Vachell, Horace Annesley, 1861-1955. Life and sport on the Pacific slope. Colonial ed. London : Hodder & Stoughton, 1900. There’s lots more but that’s more than enough. If you want to know what else we’ve got, including, yes, some on trout, try the catalogue at: http://rgssa.slimlib.com.au:81/vufind/ Personally, I can come at catching them in order to sustain life, but is there anything sillier than hurling a minute, laboriously tied thingo on the end of a very long string at an uninterested fish that knows perfectly well that it bears no relation whatsoever to its normal food, and may one time out of three thousand, if very bored or very curious, snap at it just for fun? And then throwing the fish back? Well, hitting a very small ball with a very long stick, possibly. Although possibly not, when you consider that the GIANT rainbow trout at Rotorua happily eat cake from the tourists’ fingers, or certainly did last time I was there. One for you, Marie Antoinette! The recipe above is for kiddies. Basically, if your French isn’t quite up to it, use a chocolate cake mix to bake a cake in the shape of a fish. When cool, slice banana for the scales and add a Smartie for the eye. Easy-peasy! And make sure a grown up supervises!! Now do you believe me? 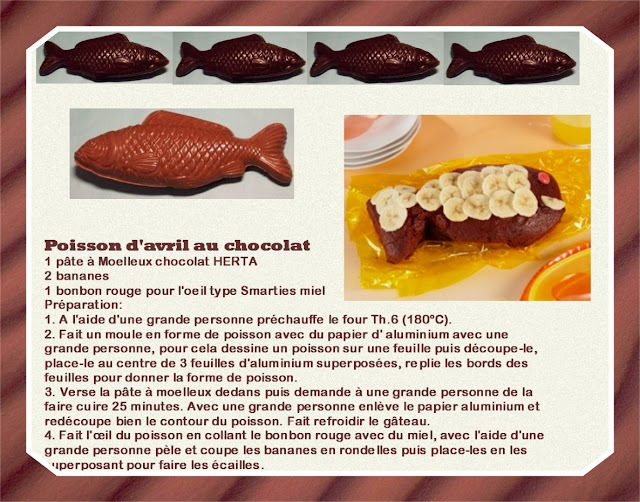 ’Tisn’t a poisson d’avril, I swear! Search This Blog - Any Keyword! Afghanistan & the British Raj (2): The First "Afghan War"
Let's go back to Rio! Copyright by Kathy Boyes. Simple theme. Powered by Blogger.